Take exit 18 off I-95 for Thurbers ave. Take Eddy St to Fisk St. Property will be on the right. 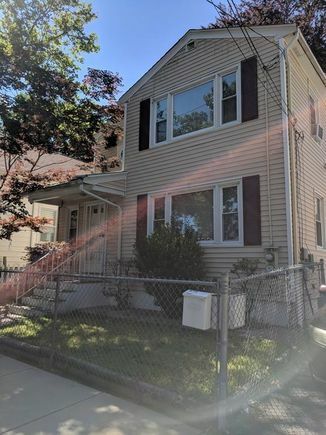 The details on 71 Fisk St: This multifamily located in Washington Park, Providence, RI 02905 is currently for sale for $239,000. 71 Fisk St is a 1,950 square foot multifamily with 3 beds and 2 baths that has been on Estately for 1 days. 71 Fisk St is in the Washington Park neighborhood of Providence and has a WalkScore® of 77, making it very walkable. This multifamily is in the attendance area of Alan Shawn Feinstein Elementary School, The Sgt. Cornell Young Jr. And Charlotte Woods Elementary School At The B. Jae Clant, Roger Williams Middle School, Lillian Feinstein Elementary School, William B. Cooley, Sr. High School And The Providence Academy Of International Studie, Mary E. Fogarty Elementary School, Robert L. Bailey Iv Elementary School, Resevoir Avenue Elementary School, Dr. Jorge Alvarez High School, and Dual Language School At Lima Annex. Listing Courtesy of: MLSPIN and Fenix Real Estate.